A useful wee trip to the highest adhesion worked railway in the British Isles - only about 6 miles from the M74 motorway. 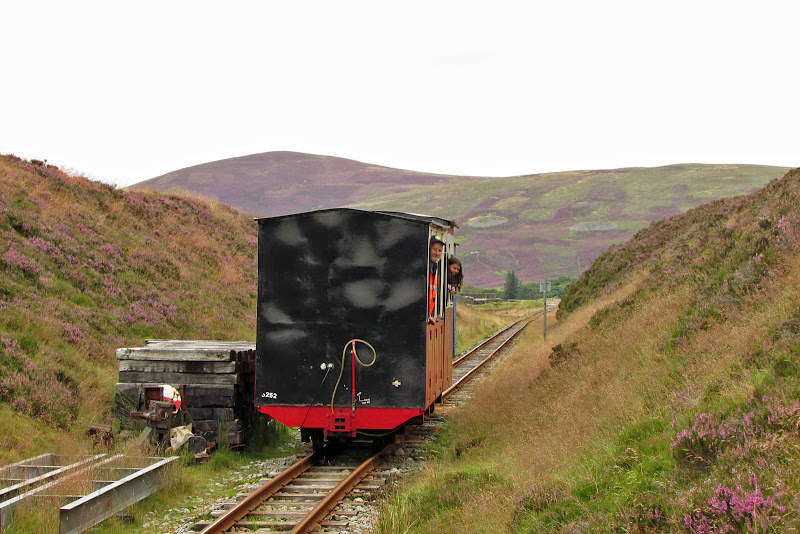 From the end of the line, and wearing sensible shoes, it is possible to walk into Wanlockhead, the highest village in Scotland. Scroll down for the Southampton connection. 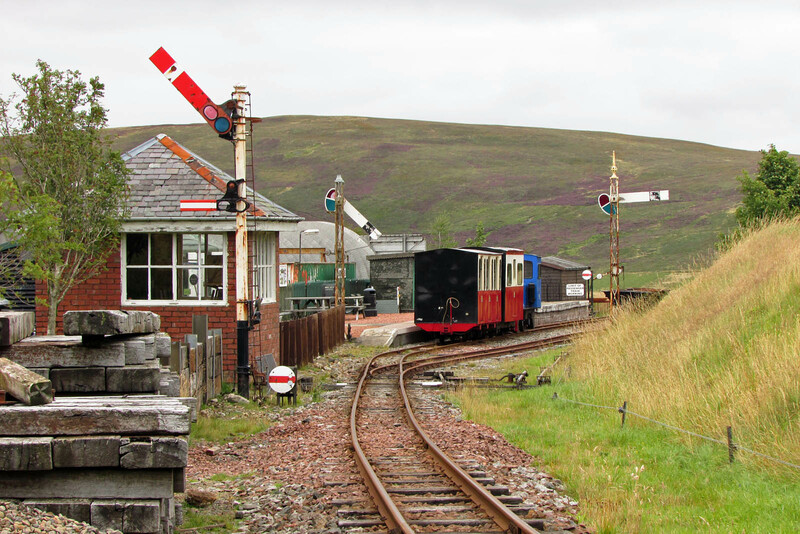 Leadhills station. The standard gauge light railway was worked as one engine in steam, so the signalbox is a creation in preservation, featuring a set of Caledonian and BR standard signals. The box is clad in bricks from the demolished Rispin Cleugh viaduct. 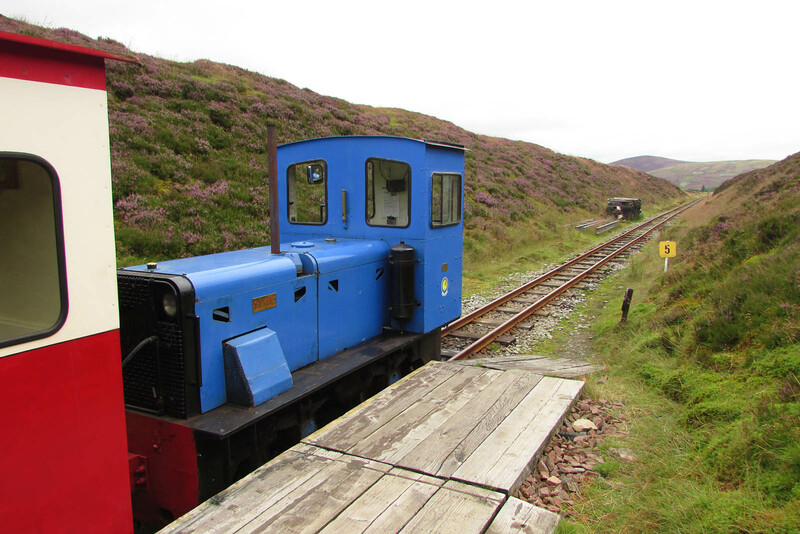 The train is ready for a departure - the coaches will be propelled for the ¾ mile uphill journey to Glengonnar Halt. 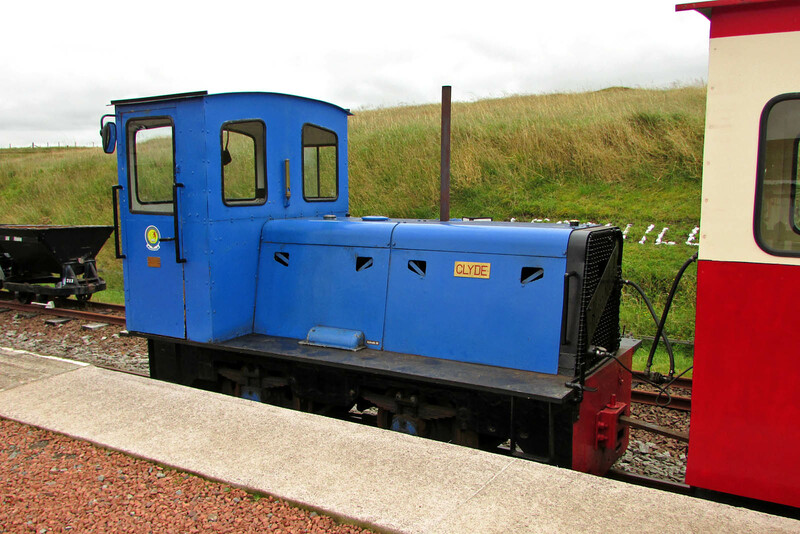 Clyde is in the platform road, with representative mining wagons in the loop. 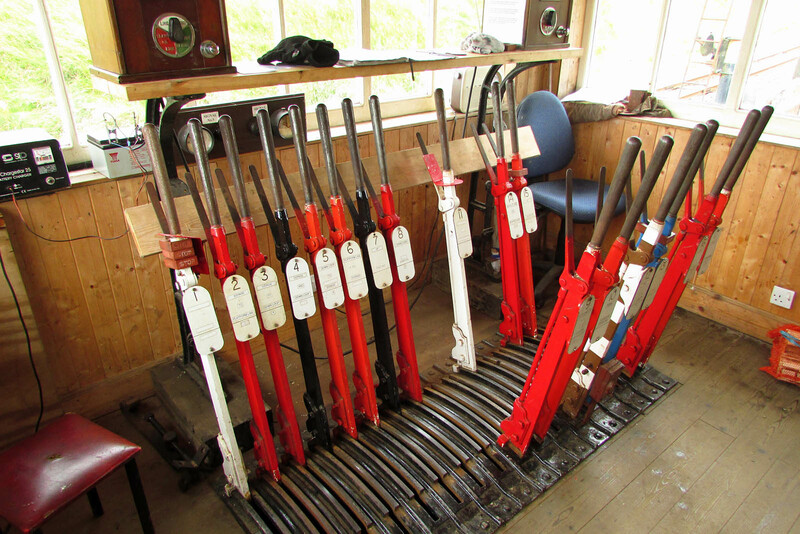 The signal frame is from Arrochar. Further information on the signalling. Clyde No. 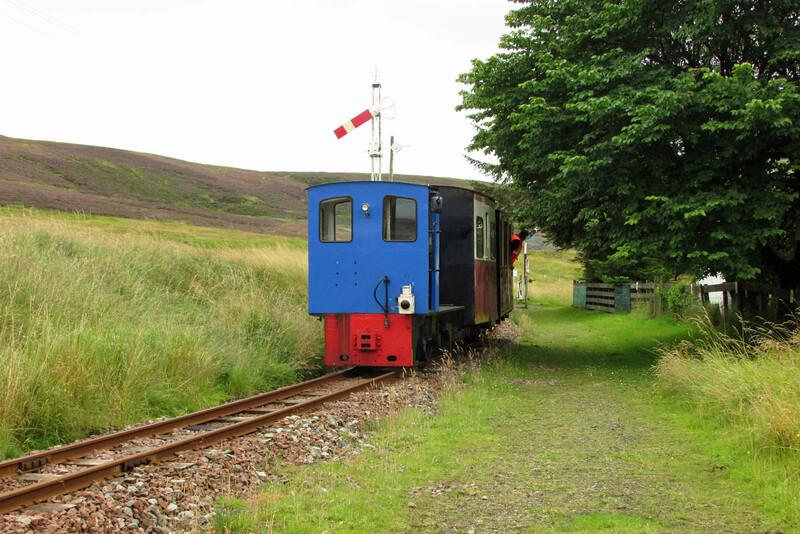 6 at Leadhills. 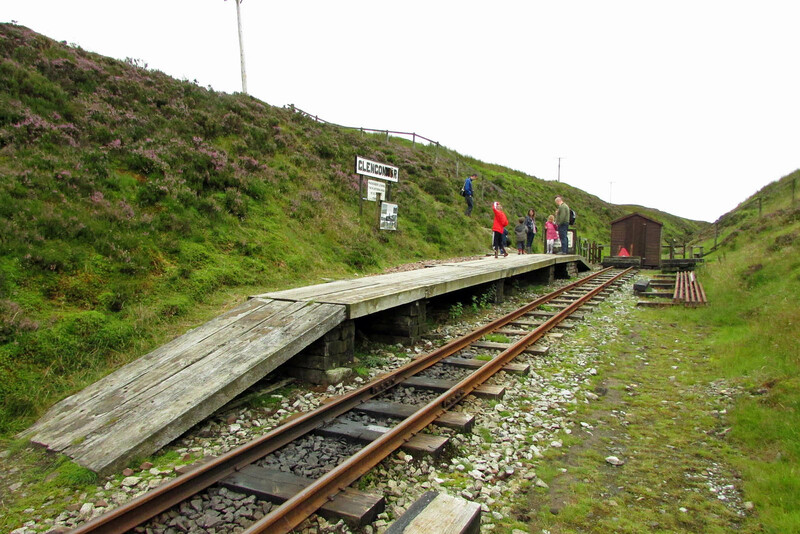 Glengonnar Halt situated at Hillend Summit, the highest point worked by adhesion on a UK railway - at 1498 ft (457 m). 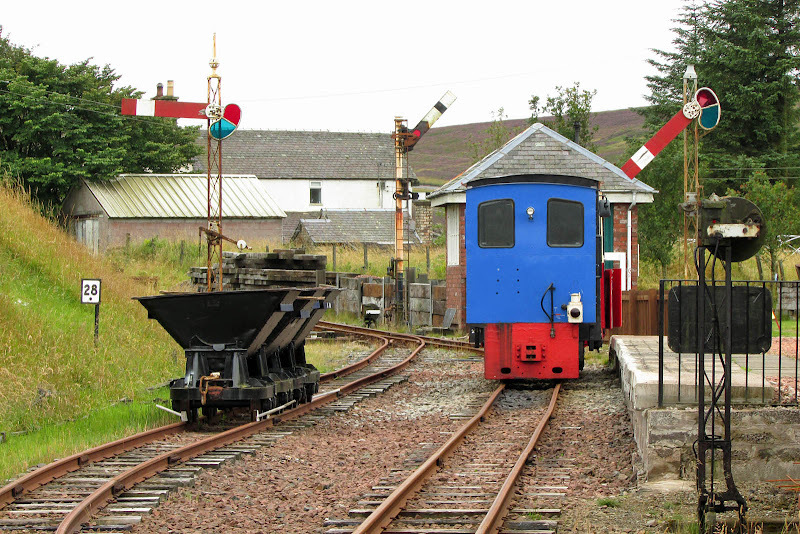 The train approaching Glengonnar Halt. 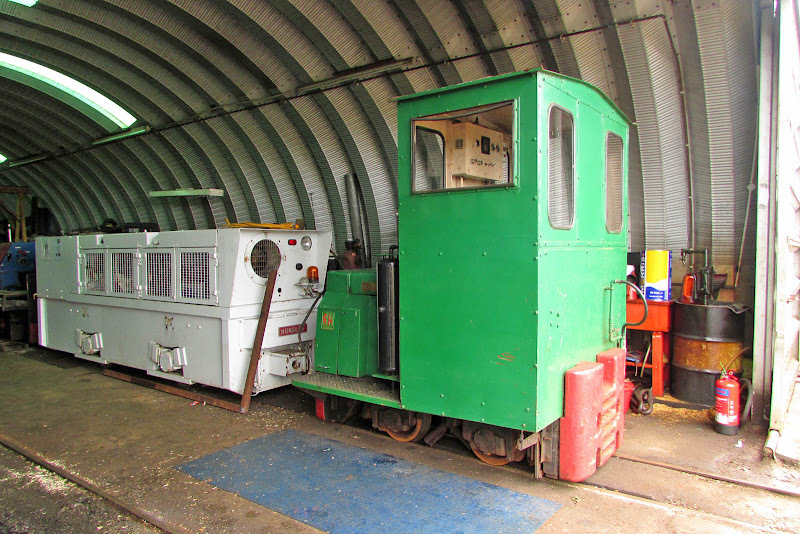 Clyde awaits a return journey. The Southampton connection is each of Luce (above) and Little Clyde, for these were the Edmund Nuttall Ltd locomotives in the Southampton tunnel repairs in 1983-85. Beyond is Mennock. Clyde again departs from Leadhills.